Knowing exactly how much will be withheld from your paycheck each pay period is crucial when it comes to budgeting. 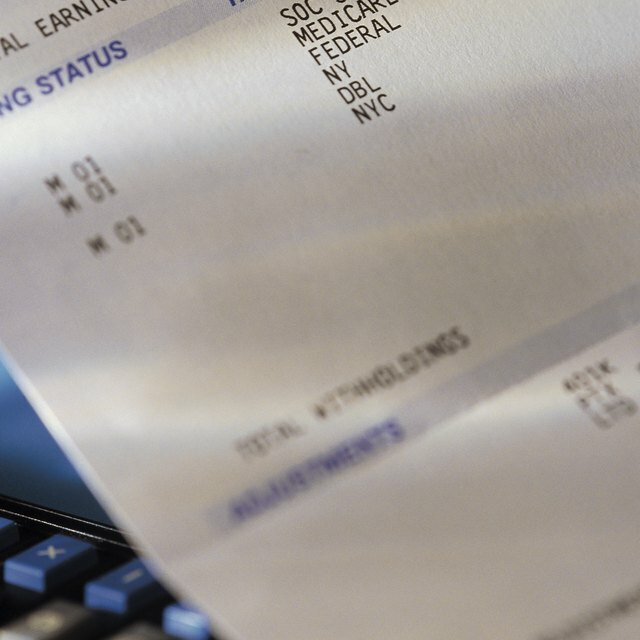 The amount of income tax withheld by your employer depends on two things: the amount earned per pay period, and the information given to the employer on Form W-4. That information on Form W-4 affects the calculation of tax withholdings. Some of these factors include marital status, exemptions, and qualifying retirement contributions. The IRS provides a tool that makes it quick and simple to estimate online about how much will be withheld from each paycheck. Have handy your most recent pay stubs and your most recent income tax return. Visit the IRS website (See Resources section) and click on the "Continue to the Withholding Calculator" option. Answer the required questions under the section labeled "General Information." The calculator will need personal information including marital status, possible dependents and current jobs. After filling out the information on each page, click "Continue." Claim any credits. The next section requires you to enter any credits you are claiming, such as the Child and Dependent Care Credit or the Child Tax Credit. If you are not claiming any credits, leave these options blank and click "Continue." Enter your taxable income. The next section of the IRS calculator will ask you to input taxable income. The calculator will ask that you estimate the total wages, salary and tips or bonuses that you expect to receive for the year. Include any adjustments. You will then be required to enter an estimate of adjustments to income for the year, including alimony paid, deductible IRA contributions, and education loan interest. Click "Continue." Make any deductions. The IRS calculator offers an itemization tool that helps to easily configure any potential deductions. Fill in the blanks as accurately as possible and hit "Continue." See your results. After you fill out the final page of deductions, the IRS calculator will estimate the income tax for the year and the projected withholding.